*Finally there’s movement on the long-talked about James Brown biopic. In the past names like names like Eddie Murphy and Wesley Snipes were said to be in serious contention for the role of The Godfather of Soul, but noting ever came of it. That was then. 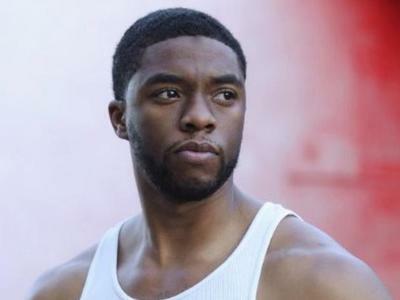 This is now and Chadwick Boseman, the star of the Jackie Robinson bio “42” has been announced as the star of a new, as yet, untitled film about James Brown from Universal and Imagine. Also, legendary rocker Mick Jagger and Victoria Pearman also producing under their Jagged Films banner. Grazer has been working on getting the film made since 2001. James Brown died in 2006. Speaking with CBS News.com, Taylor says, like “The Help,” the production will take place in Mississippi. “Every frame will be shot in Mississippi. We’re even doing Paris, France, in Mississippi. … Vietnam, as well, in Mississippi,” Taylor said at the Mississippi Coliseum on the state fairgrounds in Jackson, where some scenes will be shot. Filming will start in November in and near Natchez, a Mississippi River town in the southwestern corner of the state; and in January and February in the capital city of Jackson, said Taylor, who grew up in Jackson and now has a home near Natchez.